Doing good should be good for business. If planned properly, sponsorship can deliver measurable results to both the sponsor and the grantee. We have 30 years of results to prove it. We provide 1-2-1 consulting as well as fact-filled non-stop “bootcamp” training for both the Business and Non-Profit communities. We have a proven track record of turning sponsorship dollars into profit (e.g., $2 billion for The Chase Manhattan Bank). We have worked as a donor and a grantee with the unique position to advise ‘best practices’ with the sensitivity it requires. See our results. "Your course was a real shot in the arm. We made a pitch the next day!" 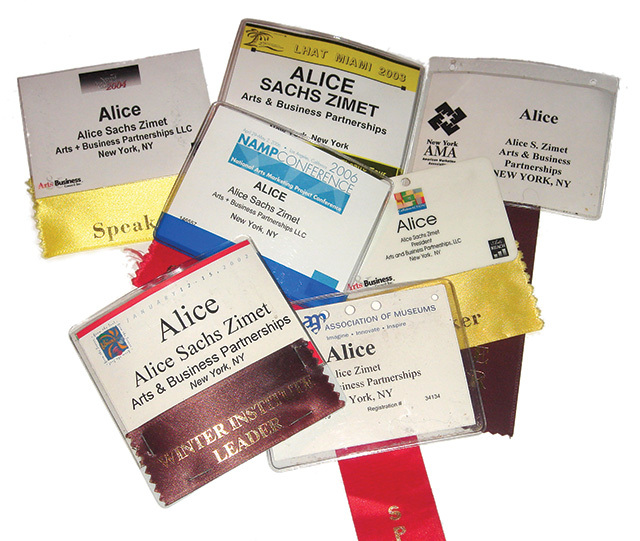 “Alice taught me the Hows, Whys, Whens, Whos, and Wheres in the most succinct session I’ve ever attended. Definitely an expert in her field!" Alice gets it. She understands that you are under the gun. Her job is to help you succeed in meeting your goals. When you do, you’re the hero…which is her reward. Relationship marketing is key to building a customer base. With her global contacts and marketing savvy, Alice builds relationships that money can’t buy.